Provide comfort for the family of Veronica West with a meaningful gesture of sympathy. Veronica West, age 58, of Mount Laurel, NJ passed away at Cooper University Hospital in Camden, NJ on Thursday, February 14, 2019. Veronica “Ronnie” West, was born on July 29, 1960, the first child of Louis and Elma West in Philadelphia, PA and was raised in Willingboro, NJ. 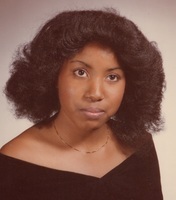 She graduated from Burlington County Vo-Tech High School in 1978, majoring in Commercial Art. After graduation she attended Moore College of Art in Philadelphia, PA. She had resided in Burlington, NJ, Yardley, PA and most recently Langhorne, PA before moving to Mount Laurel. As a career, Ronnie worked in retail sales. She was manager of the Carlton Cards at MarketFair in Princeton, NJ for many years and later worked for Hallmark stores in Langhorne, PA and Mount Laurel, NJ. Ronnie enjoyed traveling and visiting historic sites across the United States. She especially loved Gettysburg, PA where she loved spending time with her friends and the horses at the National Riding Stables at Artillery Ridge Campground. She was very passionate about photography and enjoyed cooking. She loved animals, especially cats, dogs and horses. 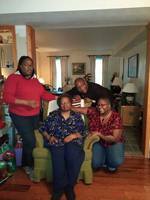 But above all else, she cherished the time spent with family and friends. Ronnie will always be remembered for her kind and loving spirit and will be deeply missed by those she leaves behind. Veronica was predeceased by her father, Louis West, Sr. and sister, Jennifer Cusano (nee West). She is survived by her mother, Elma West; brother, Louis West, Jr.; sister-in-law, Laura West; nephews, Louis R. West III, Christopher West; and devoted partner, Donald Tosh, Jr., and a host of Uncles, Aunts and Cousins. A viewing will be held on Thursday, February 21st from 11:00 to 12:00 PM immediately followed by the funeral service, both at the Mount Laurel Home for Funerals, 212 Ark Road, Mount Laurel, NJ. Final disposition will be private.